The YSI ProDSS water quality meter measures water parameters such as DO (optical Dissolved Oxygen), pH, ORP, conductivity, temperature and turbidity. Designed for demanding field work the YSI ProDSS is the latest, smartest, most innovative portable water quality multi-parameter instrument from the YSI stable. The YSI ProDSS Water Quality Meter can measure parameters like DO (optical Dissolved Oxygen), pH, ORP, conductivity, specific conductance, salinity, TDS, resistivity, chloride, nitrate, depth, temperature and turbidity. The YSI ProDSS takes the advanced technology from the EXO series to make the best handheld available. 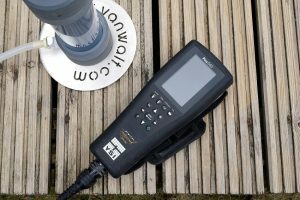 This water quality monitoring instrument is rugged and reliable with intelligent, user-replaceable digital sensors that can be connected to any port and that are automatically recognised by the instrument and retain the calibration data. With optional GPS and depth the YSI ProDSS is completely customisable and with military specification connectors, IP67 waterproof, rubber over-moulded case and 1-metre drop tests, durability is ensured for longevity of sampling even in the harshest field conditions. Smart, cost-effective and adaptable for the future. High-impact body is built to record water quality parameters to depths of 250 meters. 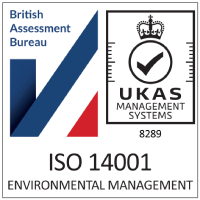 Yes; 400 detailed GLP records can be stored & are available to view, download & print. The YSI ProDSS is configured for you and the cables and probes/sensors can be selected according to your requirements. All rental instruments will be configured/calibrated to measure temperature/conductivity, DO, pH, ORP and turbidity.